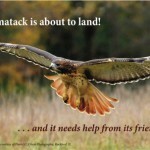 Tell the FWS that Chicago and Milwaukee would like Hackmatack, a new wildlife refuge they could drive to. You might see whooping cranes, river otter, cougars, blandings turtles and all kinds of birds there. They take comments until April 27 and are set to decide this fall. 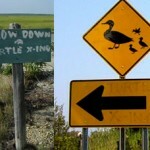 NJ shore residents love their diamondback terrapin turtles so much they put up signs asking drivers to slow down in the summer, when females plod over roads to nest. This week the Fish and Wildlife Service announced they’d study a plan to start a wildlife refuge between Milwaukee and Chicago. 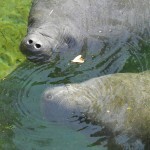 What would the Hackmatack National Wildlife Refuge mean for wildlife watchers?A chance to see cranes, trumpeter swan, otter, badger, coyote, deer–and possibly cougar, whooping cranes, a funny kind of squirrel and some threatened bats and turtles. The Friends of the Hackmatack NWR who have already been working for years to get this gonig, in part inspired by the fact that when Audubon Magazine boasted that “a wildlife refuge is located within an hour’s drive of every major metropolitan area” Chicago proved them wrong. It’s the biggest city without one. This refuge takes note of the need for wildlife watching near where people live; it’s designed to be within two hours of Chicago and Milwaukee. Judging by the excited email I got from my friend David Hall and others, I’d say it would be pretty popular. Hackatack–named after the larch tree–would try to sew together the patchworkd of 88 parks and preserves already there so that wildlife can have some breathing room. The wildlife service wouldn’t force anyone out, but they would offer to buy property within the refuge boundaries. Cougar: The Cougar Network has two confirmed sightings in the refuge area since 2008, one with physical evidence, the other verified by a qualified pro.